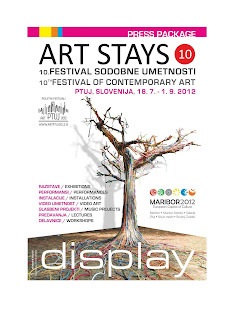 Zoran Poposki's video "Different" will be presented at the 10th International Festival of Contemporary Art ART STAYS in Slovenia, as part of the presentation of the international video art collection DVD project, in the year when the Art Stays festival is part of the European Capital of Culture Maribor 2012. 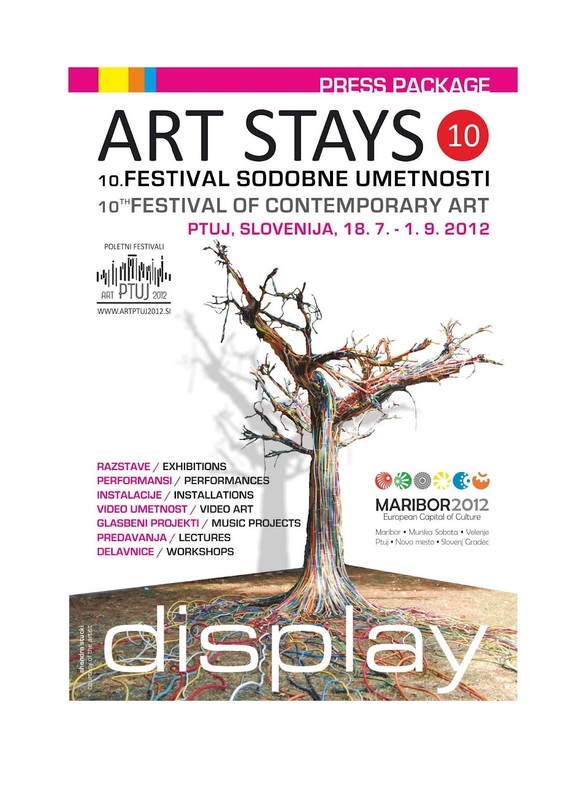 The ART STAYS International Festival of Contemporary Art, one of the most important contemporary art festivals in Europe, is celebrating its 10th anniversary and will bring together contemporary, mainly visual artists from all over the world. This is Poposki's second participation in the festival. In 2011, the 9th edition of Art Stays included Poposki's video performance and a lecture given at the Summer Academy. This year's festival will be held under the slogan DISPLAY (screen/show!). The word display has many meanings, but all of them fit perfectly with the aim of the festival. It is a shopwindow, a space, and a dialogue opened with many artists who will come to Ptuj to display their work, carry out a performance, or be a part of the artist in residence programme to get creative in the oldest town in Slovenia. In the year when the Art Stays festival is part of the European Capital of Culture Maribor 2012, some of the greatest names of the contemporary art scene will be hosted: Venice Biennale Golden Lion Award winner in 2005, Regina Jose Galindo from Guatemala, Indian artist Gigi Scaria, presented in the Indian Pavilion at the Venice Biennale in 2011, established Polish artist Lech Majewski, Tonis Saadoja from Estonia, one of the most important Fluxus (celebrating its 50th anniversary) artists, Yoko Ono, Ilona Nemeth from Slovakia, Chilean artists Fernando Prats and Ivan Navarro, Hungarian artists Laszlo Laszlo Revesz and Eike Berg, German-Kenyan couple IngridMwangiRobertHutter, one of the most important Vietnamese artists Tiffany Chung, Raymundo Sesma from Mexico, Maitha Demithan from United Arab Emirates, as well as younger, emerging artists such as Marco Bernardi, Roberto Fassone, and Elena Mazzi from Italy, Kinki Texas and Christiane Draffehn from Germany, Zoie So from Hong Kong, Jose Molinafrom Spain, Kensuke Koike from Japan, Marlon De Azambuja from Brazil, Cyryl Zakrzewski from Poland, Slovenian artists such as son:DA, Dušan Kirbiš and many more. The festival will also host daily lectures by artists and curators, as well as workshops as part of the Summer Academy that will take place during the festival. The program consists of presentations of contemporary art from 26 European countries and six other continents and special projects, such as the presentation of installations by European academies, light art installations and performances, live media set The Are of Bustle by Italian artists (Claudio Rocchetti, Manuel Frara/interno3, Riccardo Piovesan, Alessandro Sgarbi, Andrea Cazzagon) musical performances by artists from the U.S., Germany and Italy, everyday DJ sessions and much more. A group of curators, in collaboration with the leading organizations and galleries from around the world, has produced a festival that reaffirms the important role played by Art Stays in the European art scene. DVD-Project is an international project for videoart organized by Stichting Idee-fixe (Breda/Holland) with the aim to show emergent and experiental videoart. The Macedonian selection of DVD-Project is curated by Jovanka Popova and Ivana Vaseva.